SCHAFFHAUSEN, Switzerland, Nov. 2, 2016 /PRNewswire/ -- TE Connectivity Ltd. (NYSE: TEL) today reported results for the fiscal fourth quarter and year ended September 30, 2016. For the fourth quarter, the company reported net sales of $3.3 billion, with diluted EPS from continuing operations (GAAP EPS) of $1.22. Adjusted EPS were $1.27, cash flow from continuing operating activities was strong at $782 million, and free cash flow was a record for the company at $594 million. Excluding SubCom, total orders were $3.2 billion and the book-to-bill ratio was 1.03. All metrics include the impact of an additional week in the fourth quarter. "The fourth quarter was a strong finish to a solid year for TE, despite a challenging macro environment," said TE Connectivity Chairman and CEO Tom Lynch. "Our performance was led by strength in several businesses including Automotive, Commercial Transportation, SubCom, Aerospace and Defense, and Energy. We continued to build our harsh environment portfolio with the acquisition of Intercontec, which expanded our product range in the industrial equipment market. 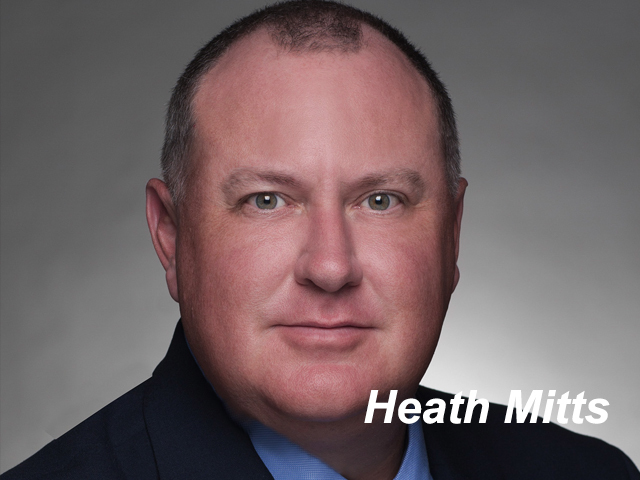 Our SubCom business continued its momentum by being awarded a contract in October for the Pacific Light Cable Network, a trans-pacific cable installation for Google and Facebook." For the full year, the company reported net sales of $12.2 billion and diluted EPS from continuing operations (GAAP EPS) of $5.26. Adjusted EPS were $4.08, cash flow from continuing operating activities was $2 billion and free cash flow was $1.6 billion for the year. All metrics include the impact of an additional week in the fourth quarter. "Our strategy to focus on harsh environment applications and our strong execution delivered solid results for the full fiscal year," said Lynch. "At a segment level, results were driven by excellent performance in our Transportation Solutions segment and a solid second half of the year in our Industrial Solutions and Communications Solutions segments. We also continued our disciplined capital allocation strategy, returning $3.1 billion to shareholders." For the fiscal first quarter 2017, the company expects net sales of $2.95 billion to $3.05 billion, reflecting an increase of 6 percent on an actual basis and 3 percent on an organic basis year over year at the mid-point. GAAP EPS are expected to be $0.84 to $0.88, including net restructuring, acquisition-related and other charges of $0.14. TE expects adjusted EPS of $0.98 to $1.02 which represents a 19 percent improvement at the mid-point versus the first quarter of 2016. For the full year, the company expects net sales of $12.3 to $12.9 billion, reflecting 5 percent actual and 3 percent organic growth at the mid-point versus the prior year, excluding the additional week in fiscal year 2016. GAAP EPS are expected to be $3.84 to $4.14, including net restructuring, acquisition-related and other charges of $0.35. TE expects adjusted EPS of $4.19 to $4.49, reflecting 10 percent growth at the mid-point compared to 2016, when excluding the additional week. "These are exciting times for TE, and we have never been better positioned to capitalize on the strong underlying trends of a safer, greener, smarter and more connected world," said Lynch. "We expect a good start to fiscal 2017 due to strong order momentum in the fourth quarter of 2016. Our guidance for 2017 implies 5 percent growth in sales, and another year of double-digit improvement in adjusted EPS." 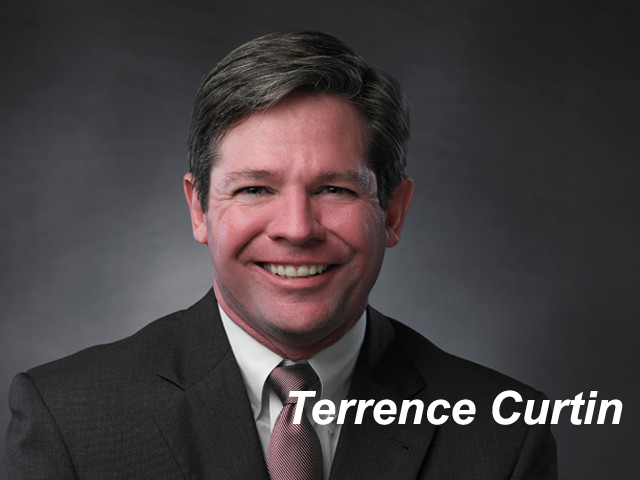 On October 3, 2016, the company announced that its Board of Directors appointed Terrence Curtin to succeed Tom Lynch as the company's chief executive officer, effective March 9, 2017. 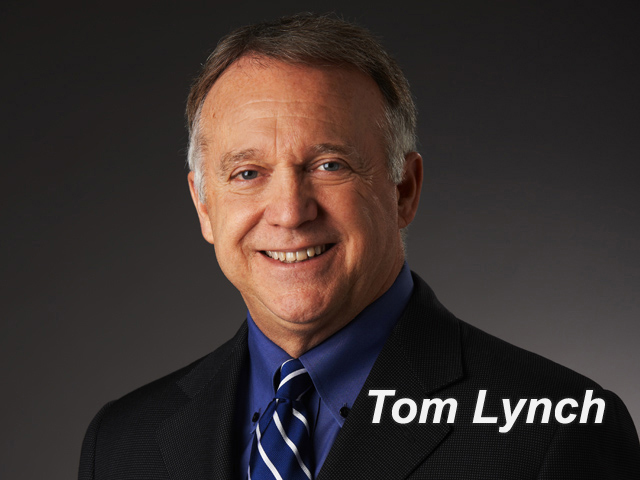 Upon completion of the transition, Lynch will continue as executive chairman of the board. By telephone: For both "listen-only" participants and those participants who wish to take part in the question-and-answer portion of the call, the dial-in number in the United States is (800) 230-1059, and for international callers, the dial-in number is (612) 332-0107. An audio replay of the conference call will be available beginning at 10:30 a.m. ET on November 2, 2016, and ending at 11:59 p.m. ET on November 9, 2016. The dial-in number for participants in the United States is (800) 475-6701. For participants outside the United States, the dial-in number is (320) 365-3844. The replay access code for all callers is 403245. TE Connectivity (NYSE: TEL) is a $12 billion global technology leader. Our connectivity and sensor solutions are essential in today's increasingly connected world. We collaborate with engineers to transform their concepts into creations – redefining what's possible using intelligent, efficient and high-performing TE products and solutions proven in harsh environments. Our 75,000 people, including over 7,000 engineers, partner with customers in close to 150 countries across a wide range of industries. We believe EVERY CONNECTION COUNTS – www.TE.com. Organic Net Sales Growth – is a useful measure of our underlying results and trends in the business. It is also a significant component in our incentive compensation plans. The difference between reported net sales growth (the most comparable GAAP measure) and Organic Net Sales Growth consists of the impact from foreign currency exchange rates and acquisitions and divestitures, if any. Organic Net Sales Growth is a useful measure of our performance because it excludes items that: i) are not completely under management's control, such as the impact of changes in foreign currency exchange rates; or ii) do not reflect the underlying growth of the company, such as acquisition and divestiture activity. Organic Net Sales Growth Excluding the Impact of the Additional Week, Net Sales Excluding the Impact of the Additional Week, and Net Sales Growth Excluding the Impact of the Additional Week – represent Organic Net Sales Growth, net sales (the most comparable GAAP measure), and net sales growth (the most comparable GAAP measure), respectively, excluding the impact of the additional week in the fourth quarter of the fiscal year for fiscal years which are 53 weeks in length. The impact of the additional week was estimated using an average weekly sales figure for the last month of the fiscal year. We believe these measures are useful to investors because they provide insight into our underlying operating results, trends, and the comparability of these results between periods. Adjusted Operating Income – represents operating income (the most comparable GAAP measure) before special items including charges or income related to restructuring and other charges, acquisition related charges, impairment charges, and other income or charges, if any. We utilize Adjusted Operating Income to assess segment level core operating performance and to provide insight to management in evaluating segment operating plan execution and underlying market conditions. It also is a significant component in our incentive compensation plans. Adjusted Operating Income is useful to investors because it provides insight into our underlying operating results, trends, and the comparability of these results between periods. Adjusted Operating Income Excluding the Impact of the Additional Week and Adjusted Operating Margin Excluding the Impact of the Additional Week – represents Adjusted Operating Income and Adjusted Operating Margin, respectively, excluding the impact of the additional week in the fourth quarter of the fiscal year for fiscal years which are 53 weeks in length. We believe these measures are useful to investors because they provide insight into our underlying operating results, trends, and the comparability of these results between periods. Adjusted Earnings Per Share – represents diluted earnings per share from continuing operations (the most comparable GAAP measure) before special items, including charges or income related to restructuring and other charges, acquisition related charges, impairment charges, tax sharing income related to certain proposed adjustments to prior period tax returns and other tax items, certain significant special tax items, other income or charges, if any, and, if applicable, the related tax effects. We present Adjusted Earnings Per Share because we believe that it is appropriate for investors to consider results excluding these items in addition to results in accordance with GAAP. We believe such a measure provides insight into our underlying operating results, trends, and the comparability of these results between periods, since it excludes the impact of special items, which may recur, but tend to be irregular as to timing. It also is a significant component in our incentive compensation plans. Adjusted Earnings Per Share Excluding the Impact of the Additional Week – represents Adjusted Earnings Per Share excluding the impact of the additional week in the fourth quarter of the fiscal year for fiscal years which are 53 weeks in length. We believe Adjusted Earnings Per Share Excluding the Impact of the Additional Week is useful to investors because it provides insight into our underlying operating results, trends, and the comparability of these results between periods. Free Cash Flow is defined as net cash provided by continuing operating activities excluding voluntary pension contributions and the cash impact of special items, if any, minus net capital expenditures. Voluntary pension contributions are excluded from the GAAP measure because this activity is driven by economic financing decisions rather than operating activity. Certain special items, including net payments related to pre-separation tax matters, are also excluded by management in evaluating Free Cash Flow. Net capital expenditures consist of capital expenditures less proceeds from the sale of property, plant, and equipment. These items are subtracted because they represent long-term commitments. In the calculation of Free Cash Flow, we subtract certain cash items that are ultimately within management's and the Board of Directors' discretion to direct and may imply that there is less or more cash available for our programs than the most comparable GAAP measure indicates. It should not be inferred that the entire Free Cash Flow amount is available for future discretionary expenditures, as our definition of Free Cash Flow does not consider certain non-discretionary expenditures, such as debt payments. In addition, we may have other discretionary expenditures, such as discretionary dividends, share repurchases, and business acquisitions that are not considered in the calculation of Free Cash Flow. This release contains certain "forward-looking statements" within the meaning of the U.S. Private Securities Litigation Reform Act of 1995. These statements are based on management's current expectations and are subject to risks, uncertainty and changes in circumstances, which may cause actual results, performance, financial condition or achievements to differ materially from anticipated results, performance, financial condition or achievements. All statements contained herein that are not clearly historical in nature are forward-looking and the words "anticipate," "believe," "expect," "estimate," "plan," and similar expressions are generally intended to identify forward-looking statements. We have no intention and are under no obligation to update or alter (and expressly disclaim any such intention or obligation to do so) our forward-looking statements whether as a result of new information, future events or otherwise, except to the extent required by law. The forward-looking statements in this presentation include statements addressing our future financial condition and operating results. Examples of factors that could cause actual results to differ materially from those described in the forward-looking statements include, among others, business, economic, competitive and regulatory risks, such as conditions affecting demand for products, particularly in the automotive and data and devices industries; competition and pricing pressure; fluctuations in foreign currency exchange rates and commodity prices; natural disasters and political, economic and military instability in countries in which we operate; developments in the credit markets; future goodwill impairment; compliance with current and future environmental and other laws and regulations; and the possible effects on us of changes in tax laws, tax treaties and other legislation. More detailed information about these and other factors is set forth in TE Connectivity Ltd.'s Annual Report on Form 10-K for the fiscal year ended Sept. 25, 2015 as well as in our Quarterly Reports on Form 10-Q, Current Reports on Form 8-K and other reports filed by us with the U.S. Securities and Exchange Commission. (1) Represents the change in net sales resulting from changes in foreign currency exchange rates. (2) Represents the change in net sales resulting from volume and price changes, before consideration of acquisitions, divestitures, and the impact of changes in foreign currency exchange rates. Organic net sales growth is a non-GAAP measure. See description of non-GAAP measures contained in this release. (1) Includes $3 million of acquisition and integration costs and $1 million of non-cash amortization associated with fair value adjustments related to acquired customer order backlog recorded in cost of sales. (1) Includes $9 million of acquisition and integration costs and $2 million of non-cash amortization associated with fair value adjustments related to acquired inventories and customer order backlog recorded in cost of sales. (3) Includes $216 million of income tax charges associated with the tax impacts of certain intercompany legal entity restructurings made in connection with our integration of Measurement Specialties, Inc. Also includes $63 million of income tax benefits associated with the settlement of audits of prior year income tax returns. (3) Includes $264 million of income tax benefits associated with the settlement of audits of prior year income tax returns as well as the related impact of $84 million to other expense pursuant to the tax sharing agreement with Tyco International and Covidien. Also includes $216 million of income tax charges associated with the tax impacts of certain intercompany legal entity restructurings made in connection with our integration of Measurement Specialties, Inc. and $29 million of income tax charges for the tax impacts of certain intercompany dividends related to the restructuring and sale of the Broadband Network Solutions business. (1) Includes $5 million of acquisition and integration costs and $1 million of non-cash amortization associated with fair value adjustments related to acquired inventories and customer order backlog recorded in cost of sales. (3) Income tax benefits related to deferred tax assets recognized in connection with the anticipated sale of the Circuit Protection Devices business. (3) Includes $3 million of acquisition and integration costs and $1 million of non-cash amortization associated with fair value adjustments related to acquired customer order backlog recorded in cost of sales.